This impressive, affordable headset works with Sennheiser's hallmark sound. 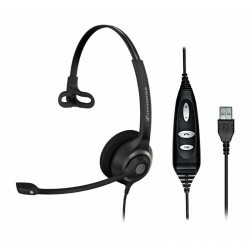 The mono, SC40 USB CTRL belongs to the Culture range for use with PC, softphones, Skype and video conferencing, or voice-recognition/dictation systems. The clever convenience of a revolving microphone enables the gadget to be worn over both ears and the added bonus is that the flexible microphone can also be adjusted for optimal microphone positioning. Built-in controls enable you to answer/end/reject a phone call, adjust the volume, mute the microphone and redial the last outbound number with just the tap of a button. The economical SC40 USB offers super-soft, sizable acoustic foam ear cups, with the option of adding a leatherette cover for ultimate comfort. The headband is also extra padded to make for easy all-day use. Sennheiser's signature Activeguard innovation also safeguards the user's hearing from unexpected loud noises and acoustic shock. 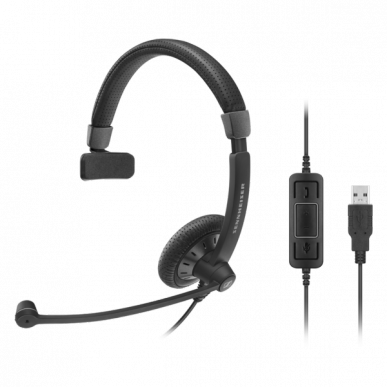 These durable SC40 USB CTRL headsets are fantastic for businesses switching over to UC settings, and all this includes a two-year manufacturer's warranty. 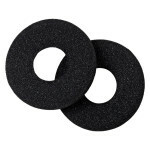 Switchable Noise at Work limiter – in compliance with EU Noise at Work legislation (Directive 2003/10/EC). 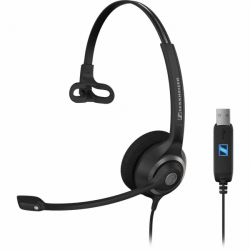 Activate your potential - Sennheiser SC 40 USB CTRL BLACK is a single-sided, wired headset for professionals in enterprises and offices using a Unified Communications solution. 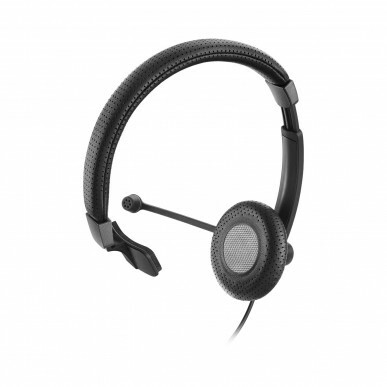 With its instant fit, excellent sound and refined styling it helps smooth user transition from traditional systems to Unified Communications to activate the full potential of your new communication culture. 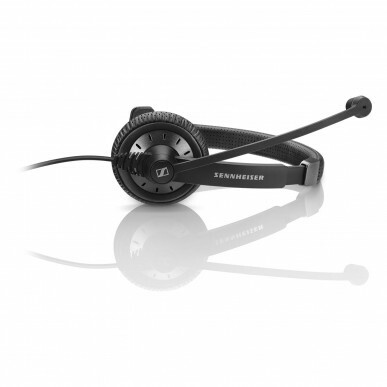 Sound leadership - With Sennheiser Voice Clarity and a noisecancelling microphone, the SC 40 USB CTRL BLACK optimizes speech intelligibility in noisy environments to deliver a more natural conversational experience during calls for both caller and listener. Sound enhancement profiles adjust automatically for optimal communication or multimedia use. Quality design with its contemporary styling, the SC 40 USB CTRL BLACK looks good from frontdesk to video call. A lightweight headband with leatherette padding flexes and adjusts for a personalized fit and a bendable boom arm positions the microphone perfectly. User focus - With its instant-fit features and choice of acoustic foam ear pad or soft leatherette cover, the SC 40 USB CTRL BLACK immediately provides users with superior comfort. 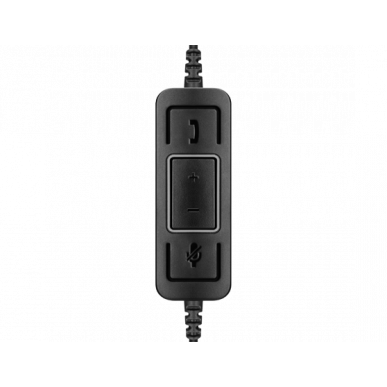 Features an in-line call control unit for seamless call management and Sennheiser ActiveGard® technology to safeguard users from acoustic shock. 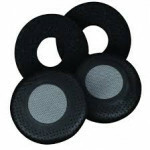 A carry pouch or transport or storage protects the headset when not in use.